No cake, no fireworks, and no mass party at the finish line. An arbitrary number of runs completed at an arbitrary number of places located within the M25 boundary. All the ‘London’ parkruns. Now Lon-done. 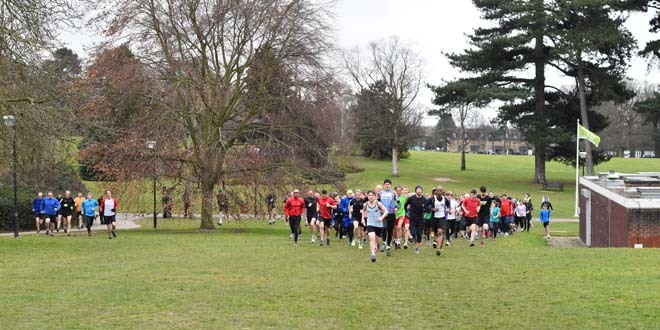 Greenwich parkrun takes place every Saturday parkrunday at Avery Hill Park. If the parkrun were to be setup now then I suspect it would be called Avery Hill parkrun but Greenwich has a nice ring to it. This large, open parkland with many splendid trees is notable for Greenwich University’s winter garden (a magnificent hothouse), containing tropical trees and plants from around the world. We arrived early to find ourselves the only car parked in the ample free car park. Cue much jesting about finding a space. We ambled down to the café where the event team were getting ready and the runners starting to arrive. It was a bit on the chilly side so we hunkered down inside the café and waited for the signal to join the new runner/tourist briefing. The route consists of almost three anti-clockwise laps. It starts on the footpath near to the café and finishes in front of the Winter Garden. A simple visitor briefing over. Other Dan ran with me. He likes to say that he’s coming back from an injury, not overdoing it, getting his fitness back etc. I think he likes to revel in my misery of being unfit. We watched the eventual first finisher speeding off into the distance and gradually sneaking round to lap us. She looked like a small child in the distance. She turned out to be an impressively speedy U20 member of Blackheath & Bromley who has a parkrun PB of 17:03. One to watch in the future. No café visit for us after the run as we both had to get back and driving from Greenwich to Ealing is a pain once the traffic builds up. Now to get Other Dan Lon-done and me to complete 100 different parkrun venues.